Grey hair is not only a sign of aging, but it’s also a manifestation of stress and a genetic condition. 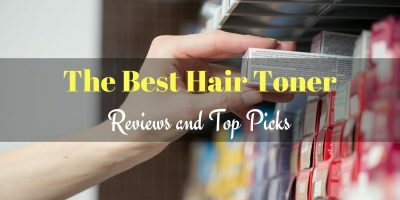 While there are hair products for grey hair, it is sometimes frustrating to find the right brand – one that gives the hair a vivid shade yet does not make the hair dry and frizzy. Thus, we have rounded up the best shampoos for grey hair on the market. Clairol Professional Shimmer Lights Shampoo is enriched with proteins and essential conditioners that tone down brassiness in grey hair. It also breathes life into treated and colored hair, which has been damaged by continuous coloring. It also leaves the hair with a shine that lasts. However, this product stains your clothes and may make your hair blue if you use it every day. Phytargent Shampoo, on the other hand, contains natural plant extracts that add shine and moisture to the hair strands. The shampoo also works well in detangling the strands. The gentle formula is also great for those with thinning and sensitive hair. However, the consistency isn't that remarkable. If you are looking for a thicker consistency, then use this with your regular shampoo. One n Only Silver Shampoo also contains essential fruit extracts and oil that do away with brassiness and dullness in the hair strands. This shampoo for grey hair likewise protects the hair fiber and prevents further damage from happening. However, the fragrance does not linger and the shampoo may leave stains on your shower walls. BioSilk Cleanse Silver Lights Shampoo has vitamins A, C, and E to nourish your hair strands and deeply cleanses your hair so this is great though temporary substitute to your regular shampoo. It does not contain chemicals such as parabens and sulfates yet leaves your hair with an impressive shine. It is not recommended for everyday use as it can make your hair brittle and hard to comb. Klorane Shampoo with Centaury works on grey hair yet does not leave ugly blue or purple stains. It also makes the hair bouncier and more vivid, so it's a good product if you have dull yellowish tones in your tresses. This 16-ounce shampoo reportedly contains proteins that make the hair soft and shiny, yet target brassiness. It’s good for blonde and grey hair, as it removes the dull yellowish tone in the strands. You will notice the shiny effect it leaves on your hair, though there are no residues. Use this to make your hair lively with color again after the previous color has faded. This is used in the same way that you use a normal shampoo, though you should leave it on your hair for about 5 minutes if you want better results. You shouldn’t worry about getting adverse reactions with this product as you are not required to have a patch test. However, you are not advised to use it daily for it could leave you with blue hair. It also casts blue stains on clothes so rinse it off very well. On the plus side, Clairol makes the hair bouncier, like it has more life. It smells quite fragrant, too. You just have to be patient with the results, as they are subtle. You will have to use the shampoo a few times before you see dramatic changes in your tresses. 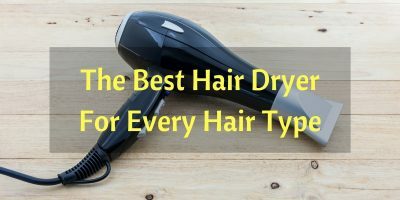 If you have dry hair, then you could use a separate conditioner for Clairol. This shampoo can be drying. Phytargent is made from a patented French beauty company and utilizes plant extracts such as rhatany root, broom, and walnut leaf. These natural ingredients are antioxidants that combat brassiness and dullness in grey and blonde hair. The product is a great and effective neutralizer for yellowish tones and any discolorations in your tresses. The highlights will come out pretty and full of life, although you have to be careful with the dark blue color in the product – it may stain your shower walls as well. The advantage of this product is that it is effective upon first use. The natural extracts work together to soften the hair cuticles and make the strands luminous and shiny. This shampoo is safe for everyday use. It also manages the hair and gets rid of tangles. It works immediately yet has a gentle formulation. But since it has mostly natural extracts, the consistency isn’t that thick; the formulation could be too harsh on one’s hair. The solution is to mix this with your regular shampoo so the consistency thickens a bit. For the product to work, you have to wait for a few minutes for the color to set. Rinse it thoroughly or else it will leave you with bluish hair. Unlike Clairol, this shampoo smells awful. In fact, its smell is similar to that of plastic, perhaps because of the chemicals used. This product has herbal essences and essential oils too such as lavender, grapefruit, orange peel, tangerine, lemon, marula and coconut oils. One 'n Only Silver Shampoo has extra conditioners to make the hair shiny and soft. It also does away with dullness and brassiness. The effect is stunning, thanks to the added sugar ester and sugar beet extract to protect the hair fiber. The formulation is gentle enough for sensitive hair. If you have coarse hair, then One n Only might just work for you. Another plus: it doesn’t have paraben, which has been reported as harmful if absorbed by the skin in large doses. However, you will have to use this shampoo regularly to see results. The changes may not be apparent on the first try. This shampoo for grey hair has vitamins E, A, and C to moisturize the hair. You can use this a few times each week to cover the yellowish tones in your hair. It also has a deep cleanse formula so it’s a good substitute to your regular shampoo (you can alternate them). The shampoo is free of sulfates and parabens, yet works well in leaving the hair shiny and manageable, and in brightening the tresses! The downside: Use it every day and it makes the hair difficult to comb. You also risk getting brittle strands. ​A shampoo for grey hair should not only keep the brassiness away; it should also condition your hair strands. Klorane does this job well. Another good news: it does not stain your shower walls or your tiles. The gentle formulation makes the shampoo fit for frequent use. It also won’t give your tresses an ugly purple or blue tinge. But just to be on the safe side, use this shampoo alternately with your regular shampoo. Klorane cleanses the hair deeply while treating any yellowish tones. 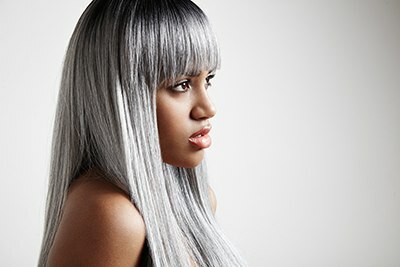 It’s a great cover up for silver hair. It also gives your hair volume and life. It smells great and is quite handy because of its small packaging. Comes in a small packaging. This could have been in a bigger bottle so you could save up on each purchase. Don't be too afraid of parabens. They are used to preserve the product longer. However, studies show prolonged exposure to products with paraben may risk cancer. Because you are using a shampoo that should treat your grey hair, you must be cautious especially as to how your reacts to it. Oftentimes, your hair could get dry because of the chemical ingredients in your shampoo. It would be wise to choose a shampoo for grey hair that boosts the shine in your hair. Gray hair often lacks the shine, and if you can find a shampoo that brings back its luster, then by all means use that product religiously. Another tip is to be generous with conditioner. Keep your hair moisturized to protect the hair strands. If your hair is super dry, look for shampoos that not only reduce the dullness of your tresses, but also protect your hair from further breakage. The winner of this roundup is One 'n Only Silver Shampoo! We especially like the many essential oils and fruit extracts in the product, as these offset the chemicals for treating grey hair.